At Whitby Appliance Repair, we realize that technology has changed a lot over the years. Home appliances today are much different than they were even a few decades ago. Even so, the microwave has managed to retain its position as one of the most frequently used appliances in the kitchen. As long as these units exist, there will always be a need for repair service. We are the team to turn to for the fastest and most effective microwave repair in Whitby, Ontario. Microwave ovens are one of those appliances that should always be serviced by a trained professional. Our certified technicians have been properly trained and are very experienced with working on a wide array of brands and models. We are a trusted microwave repair service because we do what we say we are going to do. You can trust us to take outstanding care of your microwave. A wide range of microwave spare parts is stored in our service vehicle to make certain we can administer the most efficient results possible in the shortest period of time. You can expect our Whitby microwave repair service to cover every possible problem that could occur with your appliance. Some of the issues we encounter include the unit not heating or the fuses keep blowing. Sometimes buttons are damaged or the appliance is making odd noises. The microwave might be sparking continuously or could be putting off a concerning smell. Whatever the problem is, we can fix it quickly, accurately, and at a fair rate. It is important to note once again that microwaves can be very hazardous and should only be serviced by an experienced, well-trained professional. Our technicians are qualified to take the risk associated with microwave service. We also work on garbage disposals and ice makers. 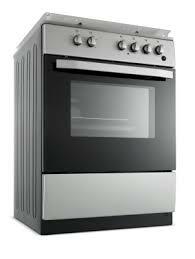 You should call Appliance Repair Whitby for all your small or large appliance service needs.